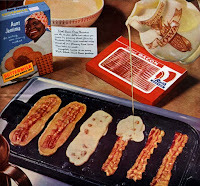 copyranter: Aunt Jemima was a f*cking genius. Note the lubrication bay in the background. copyranter on ANIMAL NY: Alcoholics Anonymous. copyranter on ANIMAL NY: Lynx Dry. Aunt Jemima was a f*cking genius. 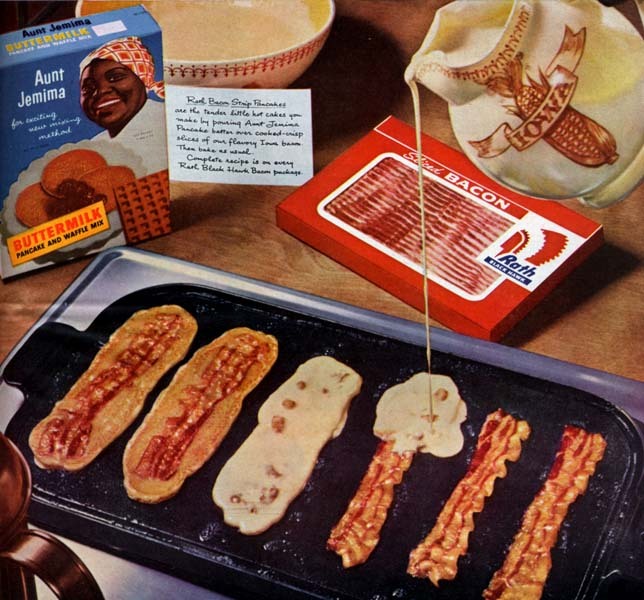 (click ad, via) You've seen the two most disgusting food ads of yesteryear (one, two). Now, it's time for the most awesome food ad in history: crunchy savory pig meat in a delicious sleeping bag of buttermilk flapjack. Homer Simpson's cartoon head just exploded all over the kitchen table.